(15) UK 2017 163 mins. The story of AA Milne’s famous creation, Winnie the Pooh, and how its huge success was experienced by the son who inspired it. (15) UK 2017 71 mins. Potter’s short but sweet comedy in which a Shadow Cabinet member hosts the dinner party from hell. Details at www.axbridgeroxy.org.uk. Roxy member, Axbridge resident, conservationist and filmmaker Alice Owen presents a collection of work from students of UWE Bristol’s MA in Wildlife Filmmaking, in cooperation with the BBC’s Natural History Unit. The films feature a diversity of wildlife and locations, from the Tasmanian devil and the lyre bird in Australia, a red panda in the Himalayas, chimps in Liberia and Lear’s macaw in Brazil. They tackle some of today’s most compelling conservation issues, including Indonesia’s love affair with song birds and human-wildlife conflict against a backdrop of poverty in Kenya. Closer to home, one short film illustrates a dying art – traditional fishing in Hope Cove. Bristol is a centre of excellence for natural history programming, so come and see these lovely films, many of which will be introduced by Alice’s fellow filmmakers in person. (PG) UK 2017 104 mins. In this wonderful sequel, Paddington gets odd jobs to raise money for aunt Lucy’s 100th birthday present. A fabulous, generous-hearted film for all ages. (PG) FRANCE 1988 108 mins. Dir: Louis Malle. Miou Miou, Michel Piccoli, Michel Duchaussoy. In May 1968, an eccentric French family comes together for the matriarch’s funeral at their country house in the vines, far from the uproar of Paris. (12 A) UK 2017 106 mins. A period thriller based on the Daphne du Maurier novel about a mysterious, manipulative widow. The Dr Love Vinyl Revival returns for the third outing of this spectacular night of dance and fun. Tickets are £9 in advance and £10 on the door (if still available), and available from the Axbridge Chemist and Post Office as well as from us on 07725 051523. Northern soul food and bar both at very reasonable prices! We had to postpone this event, initially planned for March 12th, due to the terrible weather. Tickets for the earlier date will be honoured at the door, or if you can’t come to this one you can get a refund from the Roxy. Historical drama in which Queen Victoria befriends a young Indian clerk named Abdul Karim. Thursday 24th May Roxy Comedy Night at the Roxy Cinema, Axbridge. Details at www.axbridgeroxy.org.uk Mark your diaries for the next Axbridge Roxy Comedy Night on Thursday, May 24th, in what is the town’s funniest night of the month. Hosted by The Roxy and compered by Axbridge resident Harry Mottram the evening features several comics and performance poets who will have you chuckling, chortling and laughing hysterically in the country’s smallest but best performance space. The doors and bar open at 7pm with the fun starting at 7.30pm, with a 10 minute interval; wrapping up before 10pm. Tickets from the Axbridge Chemist and Post Office at £10 (or call 07725 051523). For more information or if you are interested in performing at future events email harryfmottram@gmail.com or call 07789 864769. (15) UK 2017 104 mins. A disaffected Yorkshire farmer’s fling with a Romanian migrant worker reawakens his love of the land in Lee’s tender, impressive debut. (15) UK 2017 105 mins. Warm, tender retelling of the real-life romance between a struggling young actor and Oscar-winner Gloria Grahame. Ida (12A) POLAND 2013 82 mins. Poland, 1962. Ida, a young woman orphaned during the second world war, is about to take vows as a Catholic nun. Her aunt tells her that her parents were Jewish. The two women embark on a road trip into the Polish countryside to learn the fate of their family. (15) US 2017 10011 mins. “A young cast give brilliantly naturalistic performances in this glorious story about a bunch of deprived kids living near Walt Disney World” The Guardian. (15) UK 2017 106 mins. Iannucci’s dark, inspiringly cast and very funny satire on the paranoid machinations surrounding the death of the Soviet Union’s tyrant. (15) UK 2006 131 mins. Come and share a meal with us under the Roxy canopy! To mark the fact that the legendary festival is having a year off, the Roxy’s keeping the spirit alive with a 3-course meal under the canopy followed by this wonderful footage from multiple events. Whether you go every year and are missing the mayhem, or if you’ve never been and want to have a (mud-free) experience, come and get your ticket! Note earlier start time. Tickets available here at the Roxy, or in the Axbridge Chemist and Post Ofﬁce from May 1st. Tickets must be paid for in advance. (12A) USA 2017 121 mins. Specially for Wimbledon fortnight we present this film of the 1973 tennis showdown between Billie Jean King and Bobby Riggs. Great fun, and a brilliantly told true story. Dir: Jacques Audiard. Romain Duris, Aure Atika, Emmanuelle Devos. Thomas Seyr is torn between a life of crime and his desire to become a concert pianist. Winner of multiple awards, including 2006 BAFTA for best non-English language film. (12) UK/Poland 2017 94 mins. An intriguing oddity – an animated film in Van Gogh’s own style imagining the last few months of his life. Monday 9, Tuesday 10 and Wednesday 11 July. Doors and bar open at 7pm. Show starts at 8. Only £6 per ticket. Now in our 8th year and featuring some great comedians. Catch them here before their Edinburgh shows. These do sell out fast, so remember to go to the Axbridge Post Office and Chemist and get yours (Available no later than June 1st). If you live outside Axbridge call 07725 051523. Please check ﬁnal line-up (which is subject to change without notice) on our website in June. (12) UK 2017 93 mins. First time feature from Welsh-Zambian director Rungano Nyoni is a charming study of an orphan whose supposed magic powers are a goldmine for venal officials. (12 A) UK 2017 114 mins. his most complex case. The courses follow the route of the train: Budapest starter, Paris for mains, and London for dessert. Tickets available here at the Roxy, or in the Axbridge Chemist and Post Ofﬁce from May 1st. Tickets must be paid for in advance. (PG) UK 2017 125 mins. Gary Oldman won best actor Oscar for his portrayal of Churchill in this critically acclaimed wartime drama. Tuesday, July 31 country Joe and the fish 7.30pm – Midnight. As part of psychedelic rock legends Country Joe and the Fish, Bruce played the 1967 Monterey Pop Festival and helped change the course of rock ‘n’ roll. Tonight, in a solo acoustic show, he will be drawing on five decades of musical rebellion to tell the story of his extraordinary life through song and narrative. Bruce will be accompanied on harmony vocals and spoons by John Roberts. Dr Love Vinyl Revivalwill be playing sounds from the era with psychedelic lights and film. Tuesday nights may never be the same. Ticket admission £8 in advance £10 on the door. Home-made nibbles available. Sat 22nd. AXBRIDGE. 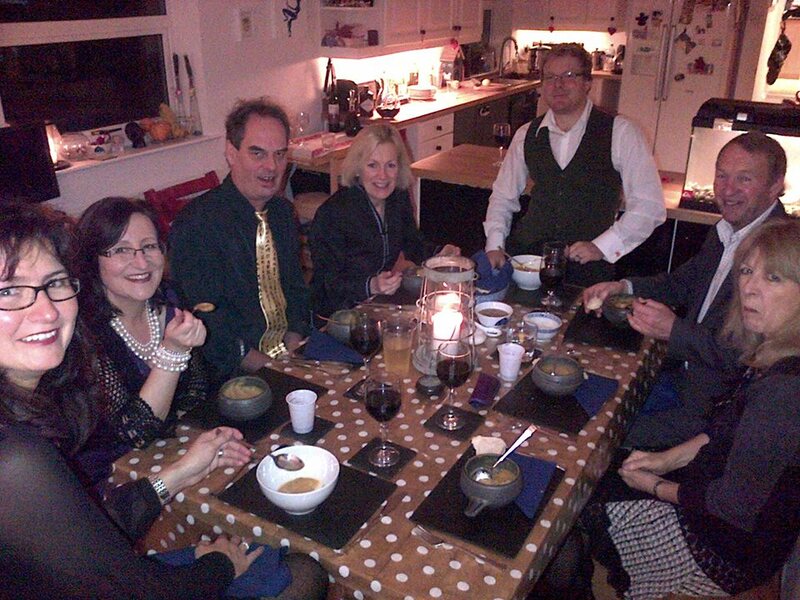 Axbridge Progressive Supper. It involves a three course meal eaten at three different locations. See the event’s Facebook site for further updates and information. Or contact Harry on 07789 864769 or email harryfmottram@gmail.com for more details.